Huge open cockpit seats 4-6 adults, easy to launch, handle, fast and stable. Original equipment in good condition, many extras. Finish main & ama deck touchup & painting (w/Easypoxy). Check rigging & ropes for wear. Check galvanized trailer (painted w/Easypoxy) with New tires installed 4 years ago. 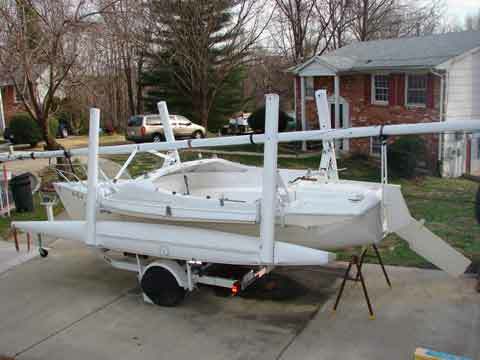 Prepare winterized outboard for use. 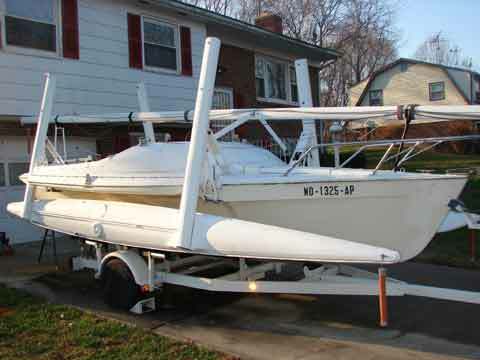 The sailboat has finally been sold. 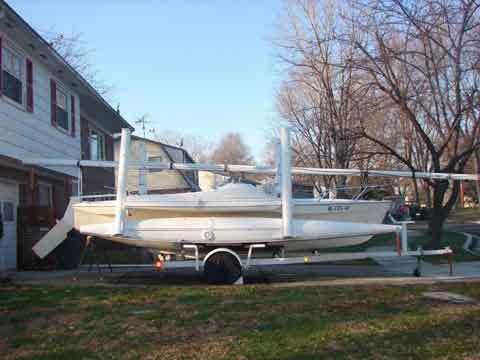 Again, thanks for providing the free Sailing Texas Classifieds!